Projection table game vol.2“The Magic Library’s Bizarre Encyclopedia”to be available in English from 4th Dec. The 2nd volume of the popular Japanese game “Projection Table Game” gets an English version too! 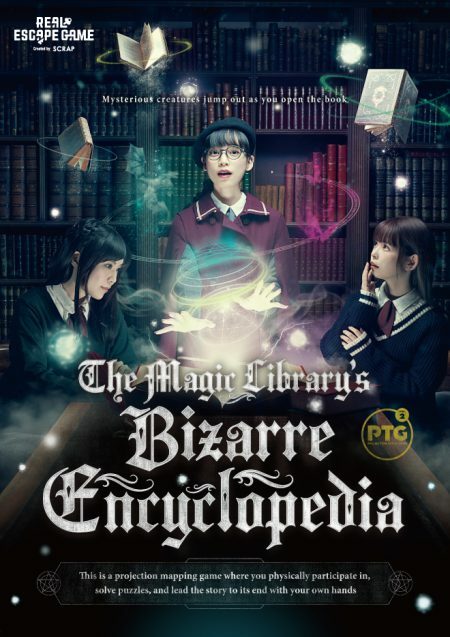 “The Magic Library’s Bizarre Encyclopedia” starts on 4 Dec 2018 (Tue), at TOKYO MYSTERY CIRCUS (Shinjuku). Watch as the images projected onto the table change like magic at the wave of your wand. With the latest technology, experience being a magic-wielding wizard!